Today is one of our favorite days of the year in the Gold Country Region. 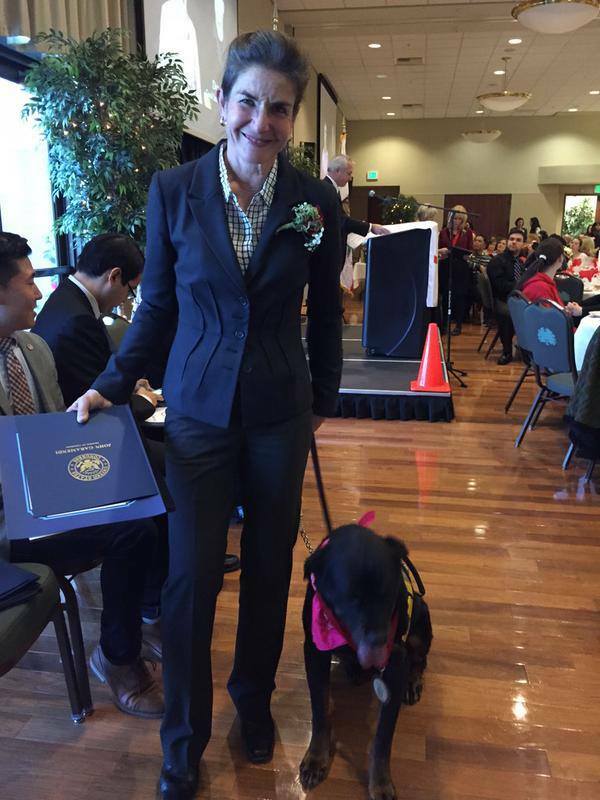 This morning, at the Woodland Community Center (Yolo County), we will celebrate our Annual Heroes Recognition Luncheon and proudly recognize members of the community who have gone above and beyond to make a difference. From saving lives – of both people AND pets, to going the extra mile to make a positive impact, Heroes come in all forms. These everyday heroes don’t have superpowers and likely wouldn’t claim to have done anything “heroic”. Rather, many say they only did “what anyone else would have done”. Lucky for us, they didn’t wait for somebody else to do it. They saw a need and they took action. Renee Lancaster – President of Rotts and Friends Animal Rescue, in August, Renee took in 11 Rottweiler dogs which had been confiscated from another facility and were in severe stages of neglect. Renee worked tirelessly to nurse the dogs back to health. 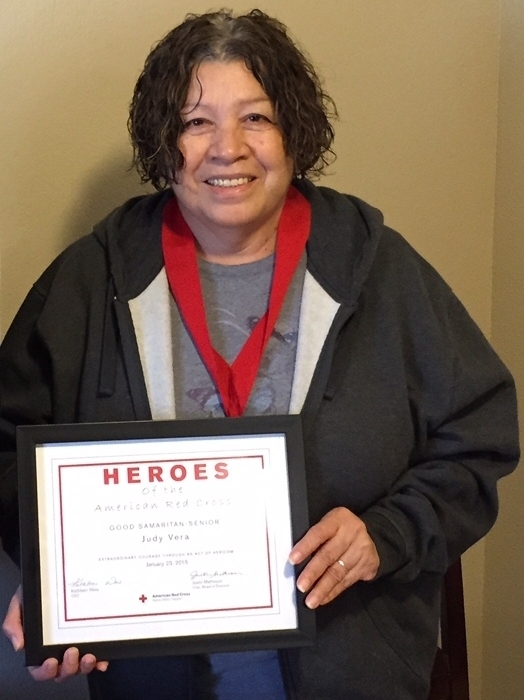 Donna Cameron – In April, performed lifesaving CPR when her husband, Dan, collapsed of a heart attack in their home. Judy Vera – Judy has made many personal sacrifices in order to care for and support her four grandchildren and help others in need. She goes above and beyond to put the needs of others ahead of her own. Skylar Berry – At a Summer pool party, a young boy was pulled unresponsive from the bottom of the pool. Skylar checked for a pulse and immediately began hands-only CPR. The boy regained consciousness and ultimately recovered from the incident. 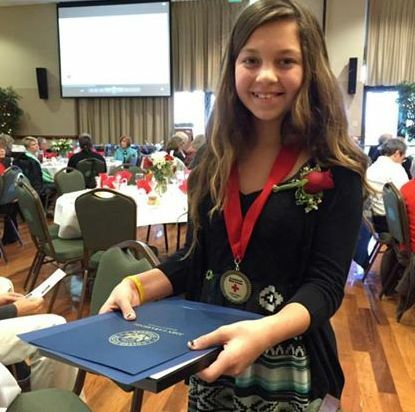 Skylar has since started a club called “Staying Alive”, teaching others how to perform hands-only CPR. Maggie Burns – An officer of the El Dorado County Probation Dept., Ofc Burns was on duty at the Juvenile Treatment Center notice a youth acting strangely. She engaged the quiet youth and attempted conversation. He revealed he had just tried to commit suicide. Ofc Burns remained with the boy until additional help arrived, ensuring that he would not harm himself. 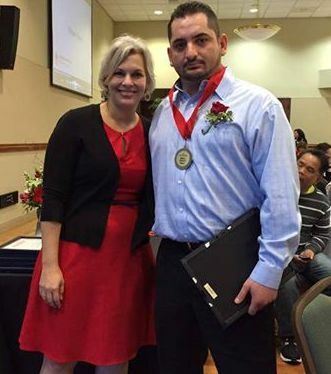 SSGT Alex Jauregui served in the US Army for 11 years, which included two tours to Iraq and two tours to Afghanistan. On April 8, 2012, his last tour in Afghanistan, SSGT Jauregui was on patrol with his men and stepped on an IED where he lost both of his legs, some of his hearing and parts of his fingers. After many months of surgeries and therapy at Walter Reed, Alex was able to come back home to California to be with his family, not just to rest but to stand up and educate the people of our community on perseverance and strength. He is an example to the community, teaching others that just because life throws you the unexpected it doesn’t me you can give up. Christopher Williams – While dining with family in downtown Woodland, a woman at another table began to choke. Christopher responded by successfully performing the Hemlich maneuver and saving the woman’s life. Chris is a Woodland native and served two tours of duty as a Navy Corpsman in Iraq. 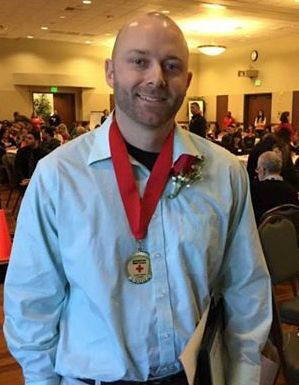 Chris Lundin – In March, as an employee at the Davis Athletic Club, Chris heard screaming out by the pool. A two year old boy had fallen into the pool and was not breathing. Chris immediately began performing chest compressions and rescue breaths. The boy regained consciousness and spit up water. He has since made a full recovery. Chris has been trained in CPR since he was 16 years old. 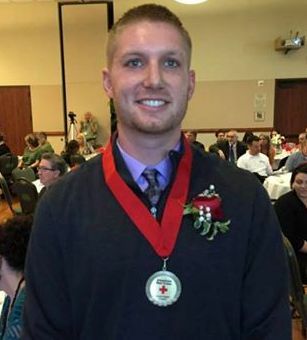 Matthew Brittain, Red Cross volunteer and professionally trained EMT, responded to a home fire to provide Red Cross assistance. While speaking with the family, Matthew noticed the father was having difficulty breathing and his 2-year old daughter was struggling as well. Matthew called for the paramedics and the family was quickly taken by ambulance to the hospital for treatment of smoke inhalation. According to doctors, had the condition gone unnoticed for even two more minutes, the young girl may have lost her life. 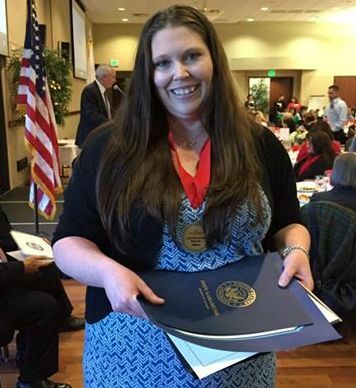 Alena Anberg – A Red Cross volunteer, Alena is a hero to her community. Alena provides assistance to many people struggling with poverty, delivering care packages filled with basic household supplies such as soap, toilet paper, and laundry detergent to families once a month. 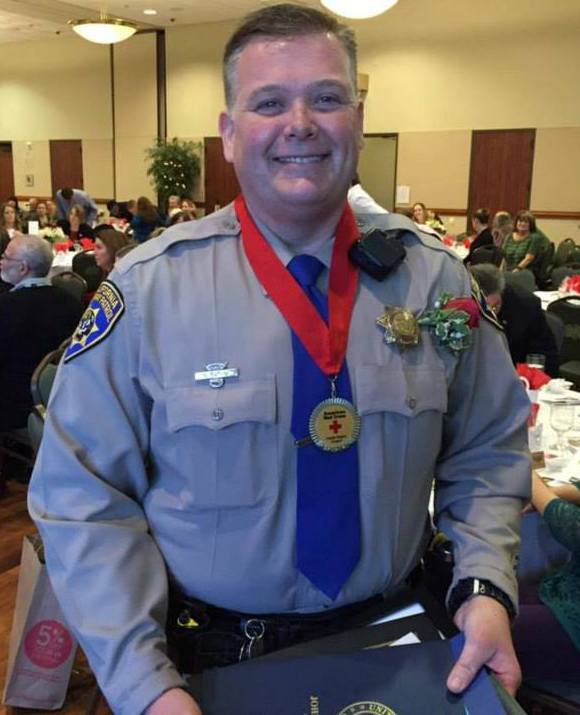 Sean Tatum – In April, California Highway Patrol Officer Tatum came upon a multi-vehicle accident in which one vehicle was on fire with a passenger trapped inside. Officer Tatum attempted to break in through a window. When that didn’t work, he partially entered the burning vehicle and pulled the woman to safety. When she was safe, he continued to protect others by attempting to suppress the fire with an extinguisher and directing the other vehicle involved out of harm’s way until additional emergency responders arrived. This annual Heroes event is one of three we conduct during the year to recognize Heroes throughout our region. Our next event will be held in Lodi on Wednesday, March 25, honoring Heroes of San Joaquin, Calaveras, and Amador counties. Visit RedCross.org/StocktonHeroes for more information. 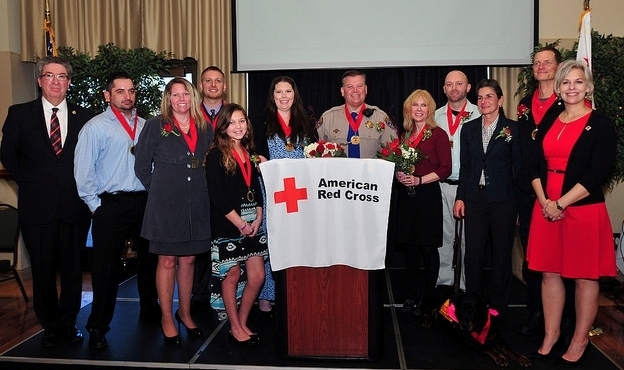 Our final Heroes event will be in Modesto on Wednesday, June 3 to honor community members of Tuolumne and Stanislaus counties. More info on that event is available at RedCross.org/ModestoHeroes. Do you know someone who has made a difference in your community? 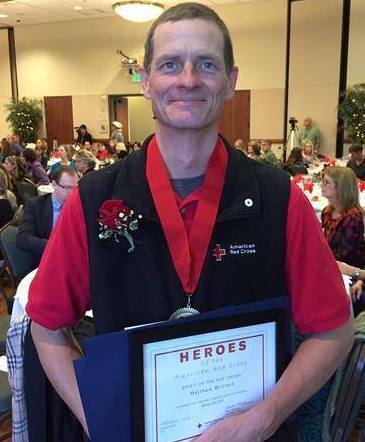 Nominate them for recognition at one of our Heroes events. 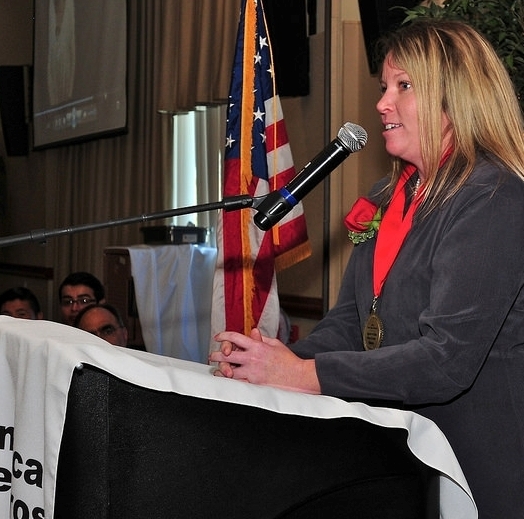 Hero nominations may be submitted year round! CLICK HERE to fill out the nomination form and tell us the story of your Hero! 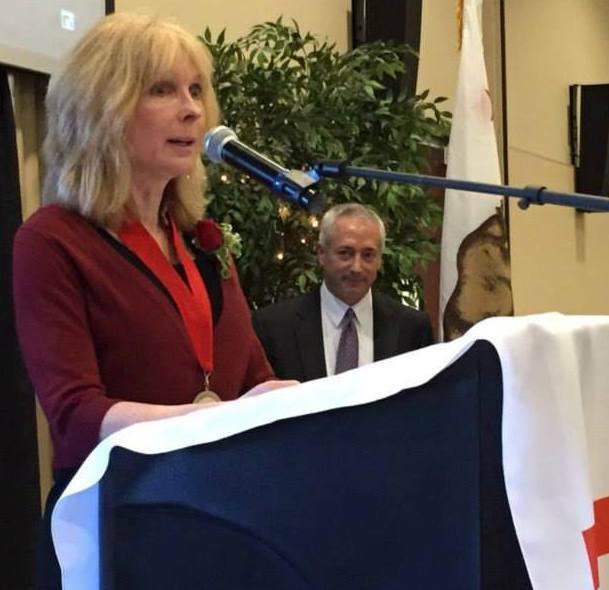 Proceeds from the luncheon will support the critical disaster relief services provided by the American Red Cross Gold Country Region as well as critical Red Cross training programs which help prepare our community members to respond in times of emergency.